What better way to end the working week than with these lovely eyeshadows that have recently been launched from Urban Decay? Moondust is a new collection consisting of 7 eyeshadows. 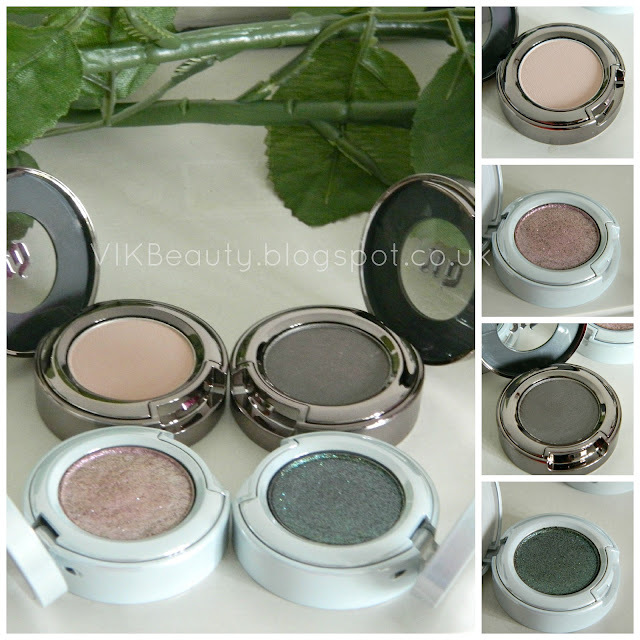 These eyeshadows as you will see from the pictures below, contain "microfine iridescent sparkle with metallic hues". They are gorgeous. Urban Decay have also added three new shades to their Eyeshadow singles collection and 13 new shades to the 24-7 Glide on Eye Pencils collection. Some of the colours are gorgeous, so definitely have a look at them if you can. Below, I will be showing you two eyeshadows from the Moondust collection and another two that have been added to their Eyeshadow singles collection. 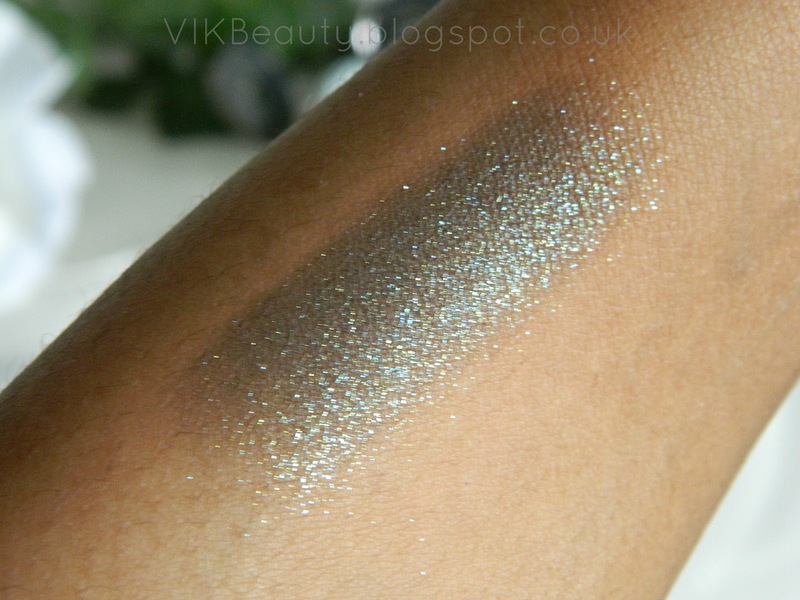 Glitter Rock is from the Moondust collection. As you can see, it is a pink eyehsadow with pink 3D sparkles. The picture directly below doesn't really do it justice. It isn't as dull as it looks in the pot. It contains iridescent sparkles and when it hits the light, you also see silver sparkles. The eyeshadow isn't coarse at all which you would sometimes expect with eyehshadows such as these. It is smooth and glides on beautifully. I think this is definitely an eyeshadow for a party or any evening out. 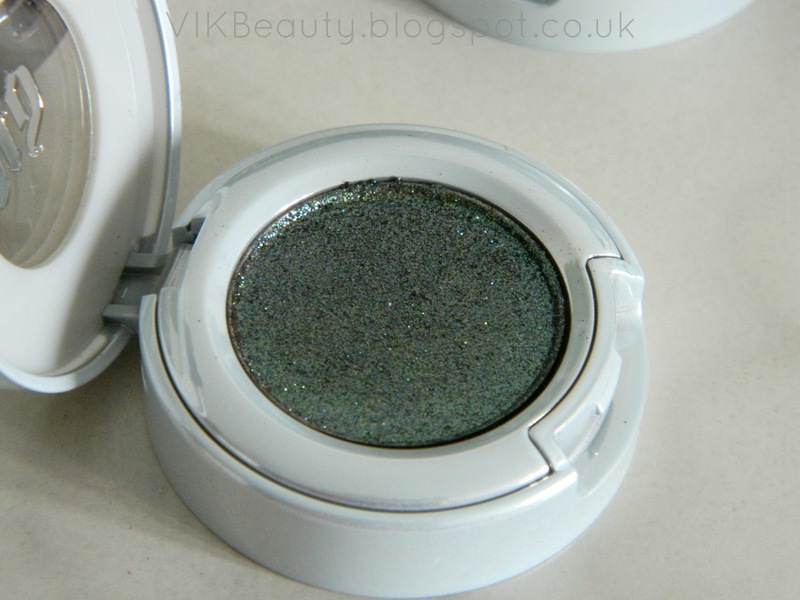 I do like this eyeshadow. I'm already picturing the smokey eye looks I will be creating with it. Zodiac is decribed as "black with blue green sparkles". I would described it as a deep green with blue sparkles. 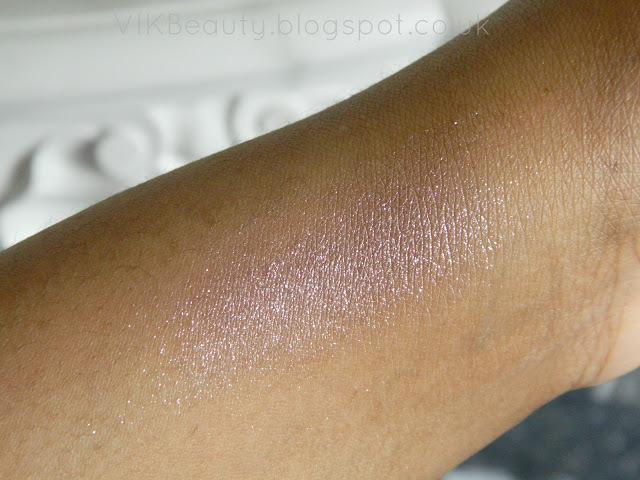 When this eyeshadow hits the light, you see little hints of gold sparkle. Once again, it's glides on beautifully and is soft to touch. Laced is one of the 3 new eyehadows that were added to the Urban Decay Eyeshaow singles collection. 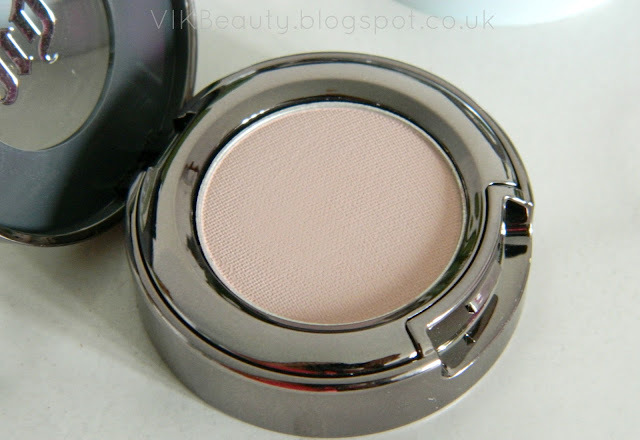 Laced is a pink taupe shade which is lovely but I would not wear on it's own, but rather as part of an eye makeup look. It has a beautiful soft velvet feel to it and like the other eyeshadows, glides on easily. 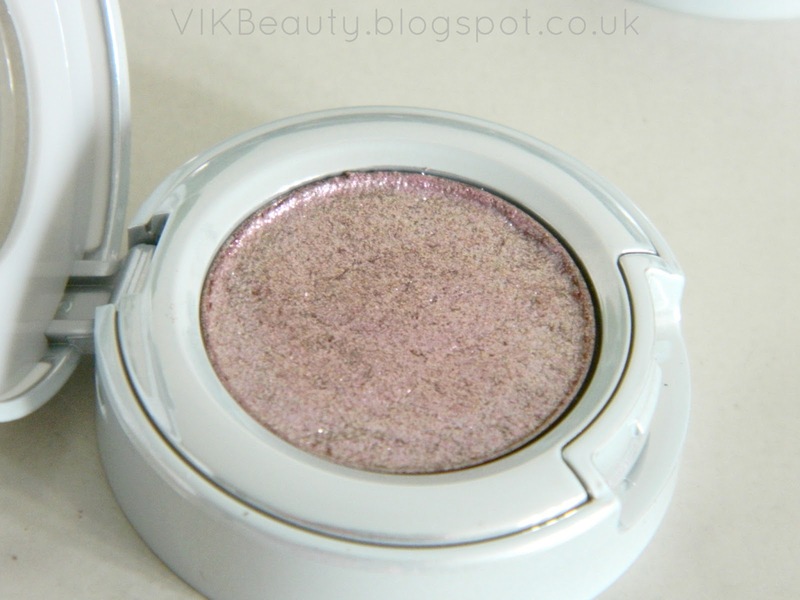 Desperation is also one of the new shades added to the Urban Decay Eyeshadow singles collection. 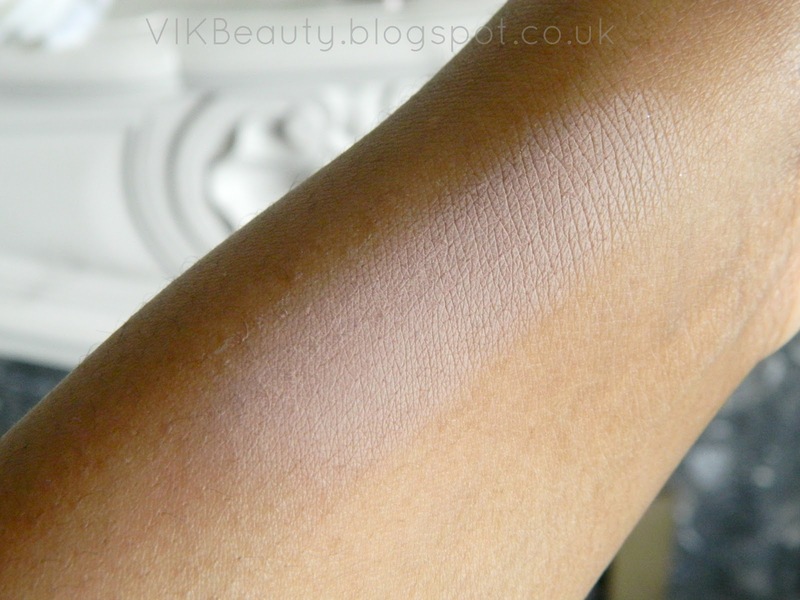 It is a grey taupe brown shade. 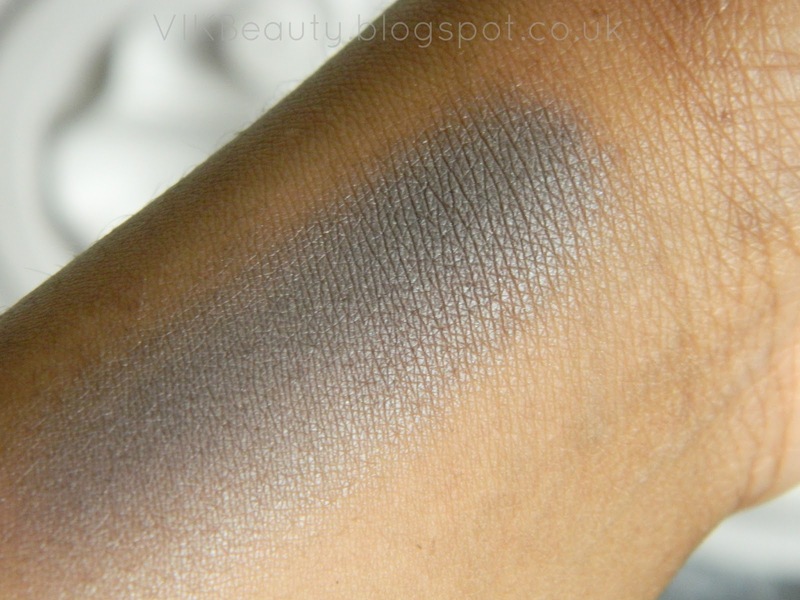 This shade could look great on it's own or also part of a smokey eye look. Just like Laced, it also has a gorgeous soft velvet feel to it. All the eyeshadows above have rich pigments. You do not need to use that much to appreciate the colour. The eyeshadows from the Moondust collection can be used wet or dry depending on the sort of look you are trying to achieve. I always use a primer prior to applying any eyeshadow which I think definitely makes them last longer on your lids. The eyeshadows retail at £14 for 1.5g. 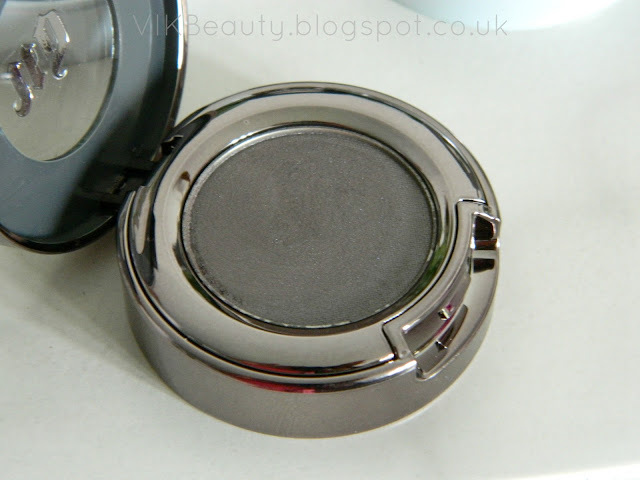 I'm a fan of Urban Decay eyeshadows because of their strong pigment. The Naked pallete is my go to pallete of all time. I will be creating makeup looks with these eyehshadows, so watch this space! You can pick these eyeshadows up at Debenhams or House of Fraser. What do you think of the eyeshadows? Which is your favourite? ***Don't forget you can follow me on twitter, instagram, facebook & bloglovin. These are so pretty, I have to admit though, I never buy single eyeshadows. I always go for palettes, as £14 for just one shade seems so expensive, and anyway, I'm far too indecisive to pick just one at a time! Ha. I also like the fact that with palettes, you don't have to think about which shades would go together as it's kind of already been done for you. Zodiac looks amazing, I bought Moonspoon after much deliberation, there was too much choice. 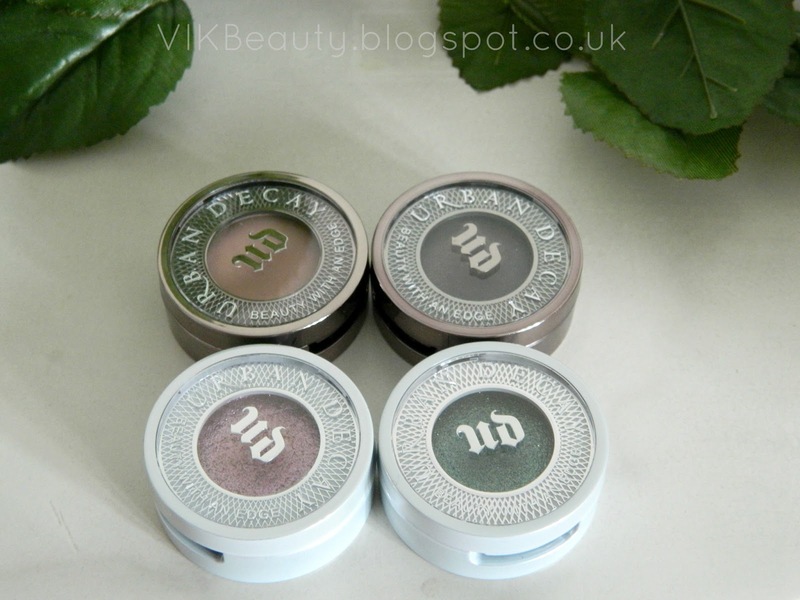 I have a huge weakness for Urban Decay eyeshadows! These eyeshadows are so pretty. Oehh i would love to try out the Zodiac one. Looks amazing! Zodiac looks AMAZING! I can imagine doing a smokey eye with that one too! Your eyes will definitely be eyecatchers with that shade!! Laced looks like the perfect colour to blend your eyeshadow :) Pretty! YDK is my color and I will NEVER switch but these look great too!